ContentLink Platform | Formark Ltd. 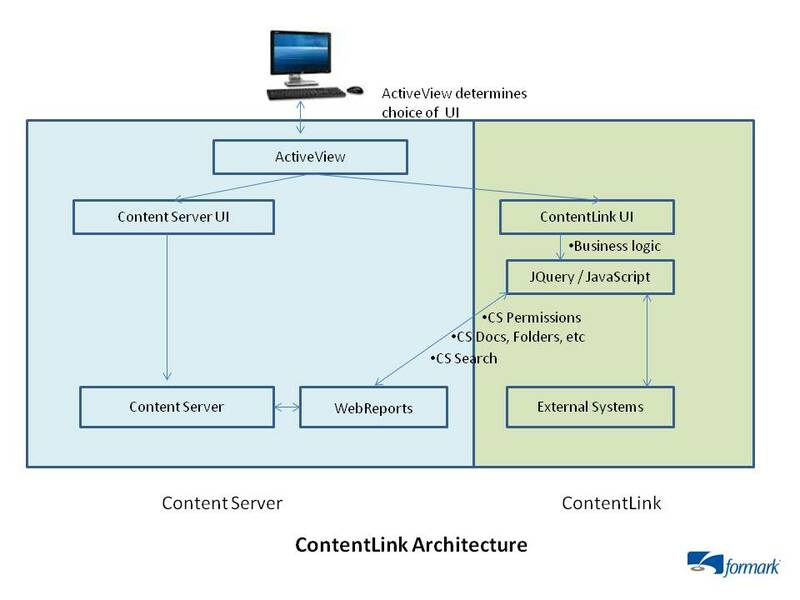 The idea behind the ContentLink Platform was to offer a framework environment which could solve a number of diverse solution requirements Formark has observed with its clients over the years. Present a really simple Content Server UI, geared to a business process. Content Server has a multitude of functions, but many are seldom used or understood by users. This negatively impacts user adoption. Support multiple web parts (windows) within a Content Server web UI. This feature supports business processes which require access to Content Server based information from different areas of the repository. Similarly, support access to other external systems. Create process specific business functions which can perform a level of business logic, or which can aggregate and execute a number of Content Server functions. 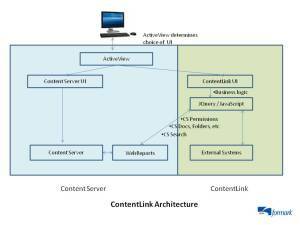 ContentLink applications fully integrated within Content Server, including Records Management. With ContentLink, no impact or modifications to Content Server internals, permitting ease of upgrade.